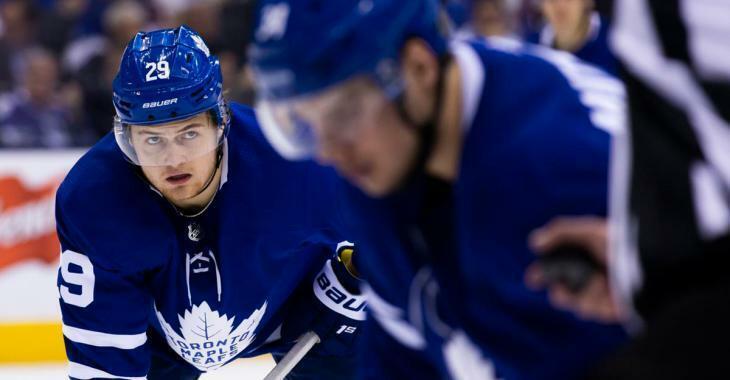 William Nylander makes his long awaited return to the Toronto Maple Leafs lineup tonight when his team takes on the Detroit Red Wings from Scotiabank Arena in downtown Toronto. And if there was any wonder about whether or not head coach Mike Babcock might work Nylander in slowly… well forget about it. According to Leafs insider Chris Johnston of Sportsnet, Nylander will start on the top line alongside Auston Matthews and Patrick Marleau. William Nylander makes his return to the #leafs lineup tonight alongside Auston Matthews and Patrick Marleau. Also worth noting that backup Garret Sparks will get the start in net. Puck drop is 7pm ET from Scotiabank Arena.